eMuseum 6 is almost here, and it’s packed with new configuration options and features that you’ve requested, such as enhanced reporting, ULAN integration, quick design configuration, improved data and media management, and much more. 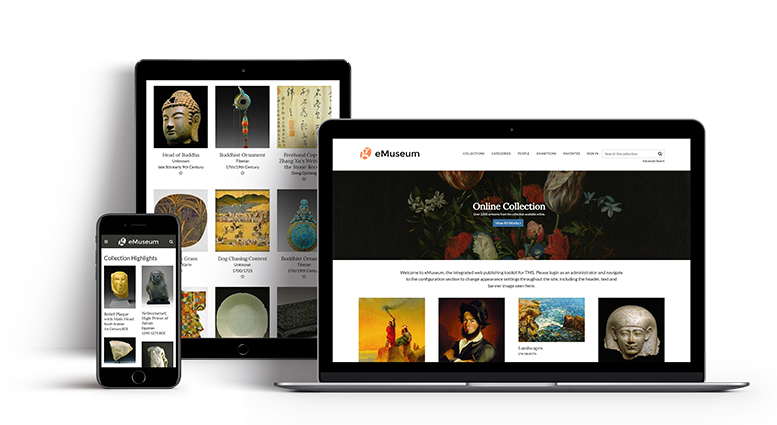 Experience the latest generation of eMuseum in this preview of the upcoming release. Sign up for this webinar to learn more. Can't make it to the webinar? Register anyway and we'll send you the recording afterwards.